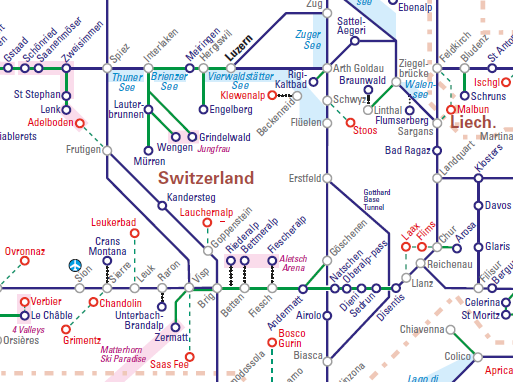 The first comprehensive ski-resort focused folded map of the Alps. 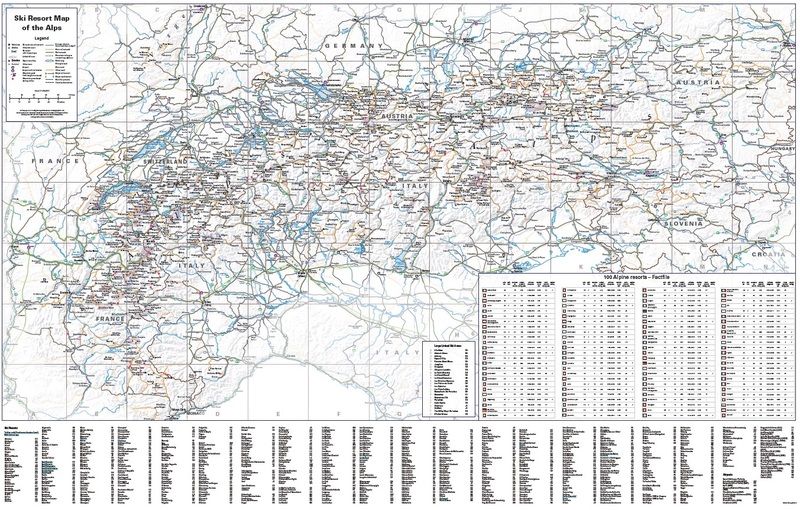 Covering the seven Alpine countries, it shows (and indexes) the positions of 640 resorts making it an invaluable tool for independent skiers and other winter sports enthusiasts, both at the holiday planning stage and whilst away. 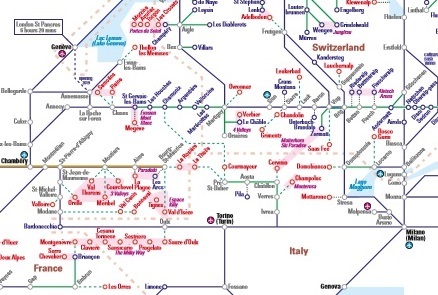 All the well-known international resorts are included such as Kitzbuhel, St Anton, Val D’Isere and St Moritz, and there are also hundreds of lesser known places offering the opportunity for independent adventure and exploration in the world’s biggest ski-resort mountain range. 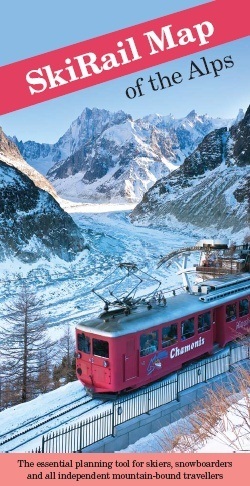 Printed on quality matt paper, perfect for traditional framing. Bonded between two sheets of tough, flexible, crystal clear plastic, perfect for framing without the need for glass and allowing you, should you wish, to write on/wipe off with dry or wet pens. To enquire about corporate versions, licences and other bespoke versions please contact us. Other sizes/formats are also available. Please contact us to discuss your requirements. 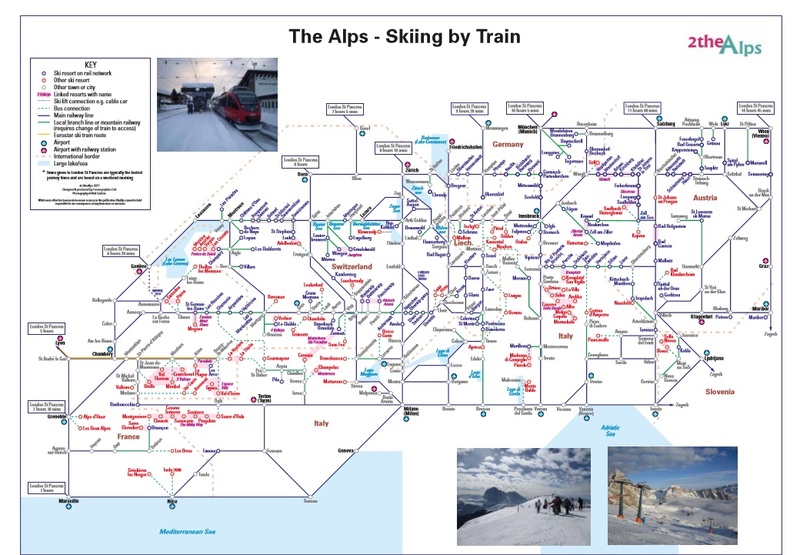 The idea for the 2theAlps began back in 2011 with the launch of the SkiRail Map of the Alps (published through Roger Lascelles (Maps) Ltd) which set out to help people to travel to, and in, the Alps by train. 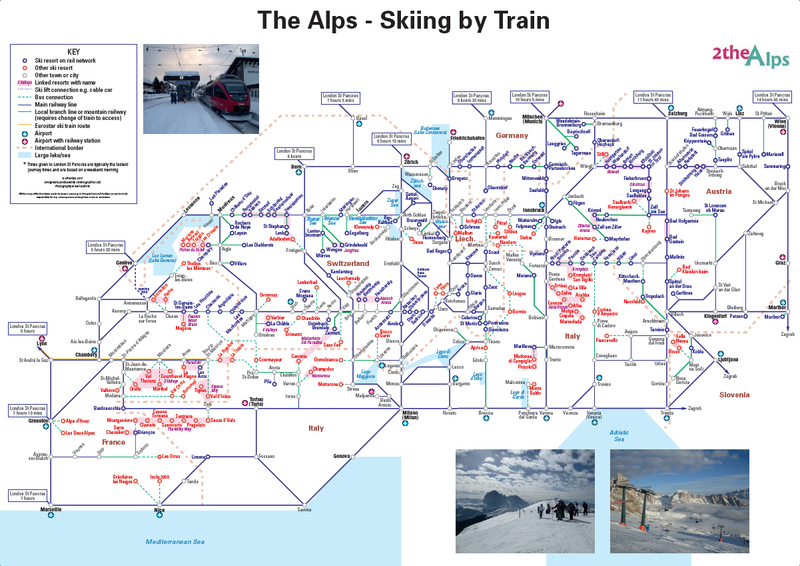 Charting the position of over 440 resorts across the Alps from Lyon to Ljubljana, and Milan to Munich, this clear and detailed winter-sports map of the Alps remains the first to focus specifically on rail routes through the Alps, enabling travellers to plan their journeys to winter sports resorts by train from the UK or an Alpine airport.